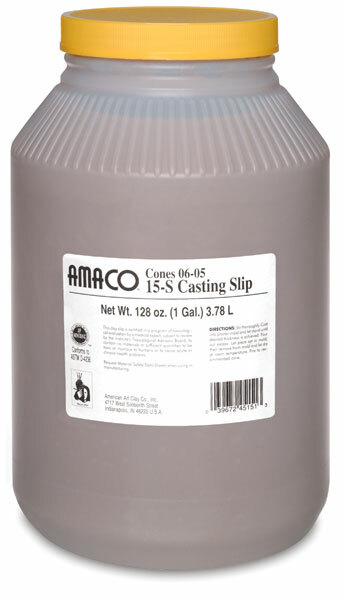 Amaco's non-toxic Casting Slip is ready to pour into plaster molds. Casts set up fast, release easily, and dry quickly. It is non-crazing, has low shrinkage, and fires bisque. 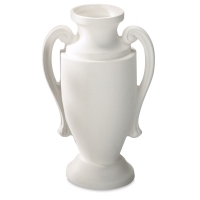 Recommended bisque firing is to cone 04 and glaze firing to cone 05 (glaze firing range is 06-02). Shrinkage at cone 05 is 6% and absorption is 14.6%. This slip is not talc-free, but ACMI approved for talc content. Comes in a 1 gallon (3.8 L) plastic jug.